Who want some Biko everyone?? Good news to all the BIKO lovers out there! I found out, that by adding macapuno strings to the mix. It adds up really good texture and flavor to the dish and it keeps you keep coming back for more bite and more bite... and more!! My Mom believed that it brings luck and prosperity for New Year to come, the sweet sticky quality to it have something that makes your year filled with joy and success.. wink:) Honestly for some reason every New Year I make BIKO...hahaha. I used to have since I can remember, I felt like something is missing if I don't have BIKO on my table every new year.. same thing with having macaroni salad, or spaghetti, pancit.. I got the recipe from a good friend of mine, Larissa. She loved making this dish and to be honest! 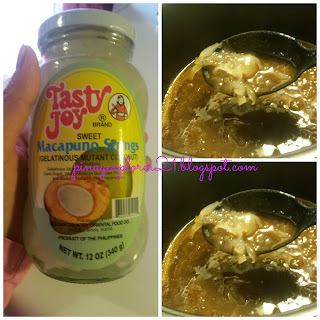 I'm in-love with the idea of adding macapuno string to the mix and now I'm sharing this delicious recipe moments with you guys! Larissa's recipe have some peanuts on them but you can totally change it up according to your preference. It just depends on how you like them.. and they taste delicious no matter what:). YUM! Adjust the taste according to your preference! Half jar of 12 oz Tasty Joy macapuno string- used your favorite brand if you want. 2.) While waiting for the malagkit rice to cooked, In separate pan we are going to make LATIK or Caramel sauce. Pour the coconut milk and let it boil. Add the dark brown sugar- NOTE: keep stirring the mixture to get that smooth texture. 4.) The rice is cooked and the Latik or caramel sauce is DONE. Just simple combine the two, mix it really good until everything combined. 5.) Put the Biko back in the pan or in a baking dish. Add a little latik or caramel sauce on top. I bake mine for like 15 minutes, but you can totally put it back in the pan and let all the flavor put together. 6.) Share it with family and friends and ENJOY! Grab your plate and let's devour this BIKO together. Sending some warmth and delicious recipe from my heart to your kitchen. 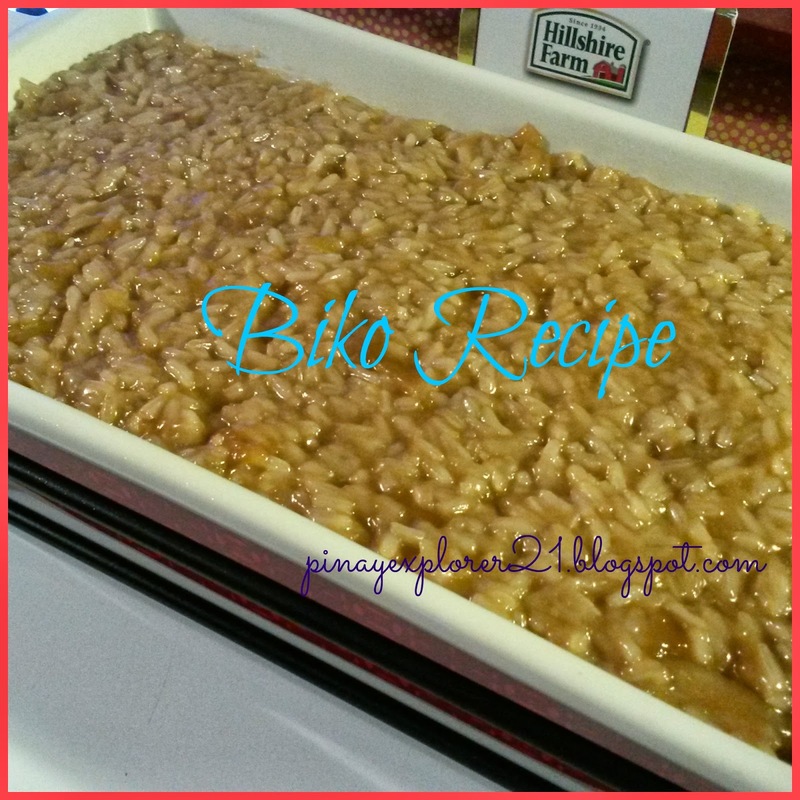 Yummy biko! Daddy also cooked biko for our Media Noche. Since biko is made of malagkit, it's for a closer family ties daw. Happy New Year and may you adn your family have a blessed, joyful, peaceful and prosperous 2014. Sarap. Just like Mommy Maye said, I did it with "latik" as toppings. This is hubby's fave native delicacy! ;) Thanks for sharing. Hope I can do this soon. We make biko during the Holy Week and Halloween! Hehe. 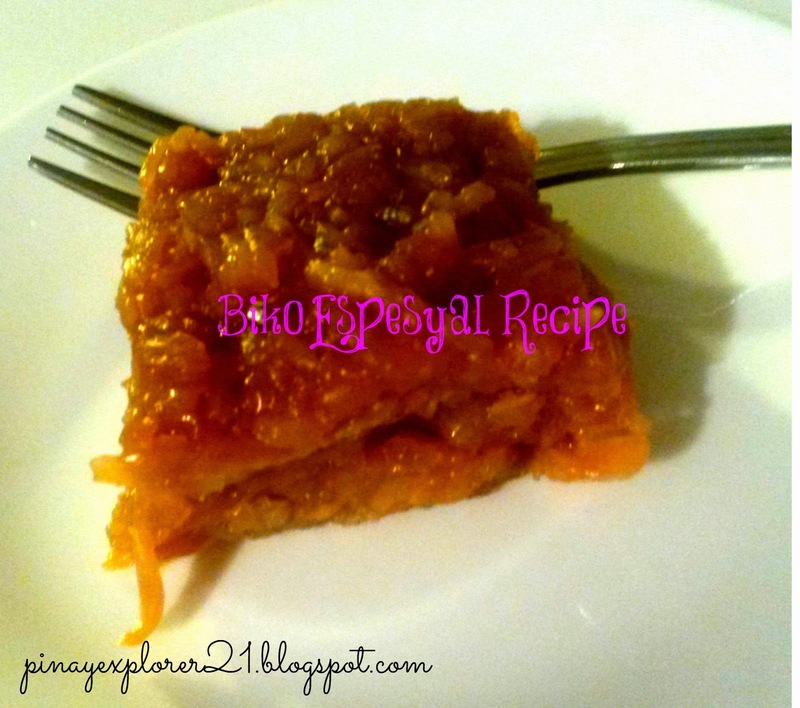 We haven't tried making biko with macapuno or with peanuts, but they sound good. I'm craving na! Biko, OMG! One of my favorite kakanin ever. Thanks for sharing the recipe. i remember my lola when i see kakanin! love nya ito and she can eat the entire content of the bilao! Thank you! I think it is although haven't tried any Thai dessert but I bet taste good as well. THat looks really yummy. You really make very mouthwatering dishes. 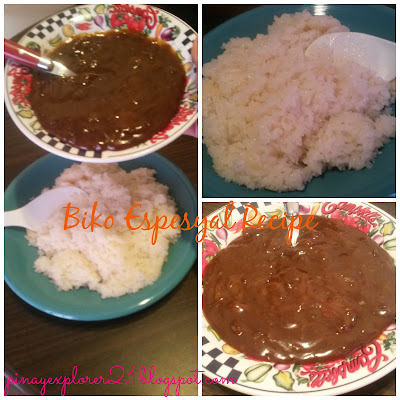 Biko!!! I love this especially if it has latik on top. Ugh! I'm craving for one now, huhuhu! What first caught my eye was the word -Biko - which means Please in my native language; Igbo.Funny eh? What a delicious looking recipe.Must try it someday. This looks palatable and am sure it tastes palatable as well. I applaud the way you simplified the steps and I am going to try it out.